A Super Mario gingerbread house. Wahoo! The gingerbread house just got a 2017 makeover thanks to this clever Super Mario gingerbread house we found at Michael’s. Seriously, how fun is this? You get everything you’ll need to put together this gamer’s dream gingerbread house, though we always love grabbing extra candies so kids can get creative. And we can munch as we supervise. It’s a fun gift for a family with lots of kids, or to bring to a party as a cool, edible activity. Major cool points. 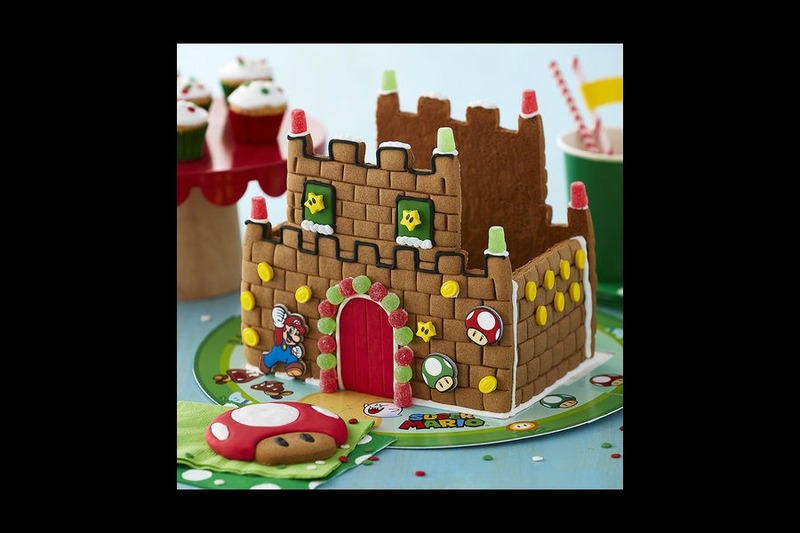 You’ll have to head in-store to grab the Super Mario gingerbread house, but considering we visit Michael’s on a weekly basis thanks to our craft-crazed kids (not just us, right? ), it’s a stop we’re probably already making about 14 times before the holidays hit. For more fun tech holiday gifts, don’t miss our Holiday Tech Guide!